“Cabana” is a Spanish word meaning “hut”. When thinking about the cabana, many people make reference to a gazebo. Though similar, they have differences. For one a gazebo is open on all sides. However, a cabana has three light walls with one open wall, typically facing a pool. The benefit of a cabana is that the walls are versatile and are not permanent. You can use them as drapes, fabric curtains, or shades used to block the sun’s UV rays. A cabana also doesn’t have to be used poolside although this is their most popular function. 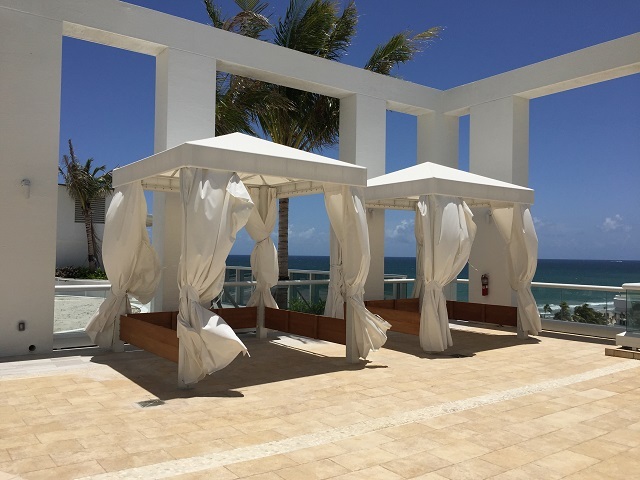 Keep reading for more details on the best uses for cabanas. Spring is officially here! If you own a home with a large pool, chances are you’ll want to lounge beside it. However, if you don’t have a shady area to sit, you could leave yourself exposed to the sun and risk getting a sunburn or even heat exhaustion. A cabana provides protection from the sun and adds to extra appeal to our outdoor space. While different from a gazebo, you can customize a cabana in such a way that it functions as a gazebo. It’s perfect to use even if you don’t have a pool! You can use its curtains as walls. Wood or metal holds up the roof. If you desire an island theme, then a roof made out of thatch is best. Colors vary from neutral tans to tropical blues and even fun stripes. Fabric curtain material includes acrylic. This sheltering adds to the aesthetic appeal of any outdoor space. They are especially great to add to a garden. Cabanas serve many purposes. If you need a romantic escape, but don’t want to leave your home, then have dinner outside in your cabana while the children are sleeping. In lavish Hollywood hotels, bands play underneath a cabana. If you want to be creative and host karaoke or a talent show in your backyard, then a cabana will provide a stage in which to do so. Cabanas can also allow for the installation of a fan if you need help combating the heat.